2. Click on "Contact details"
3. 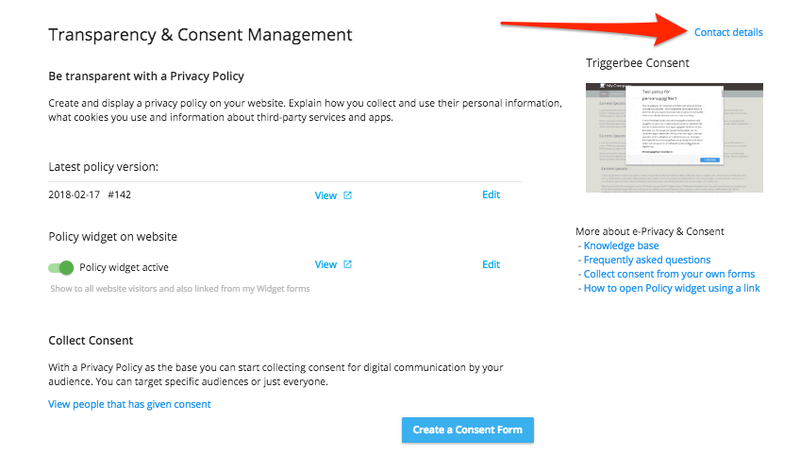 Edit your company details and then click "Save"
4. 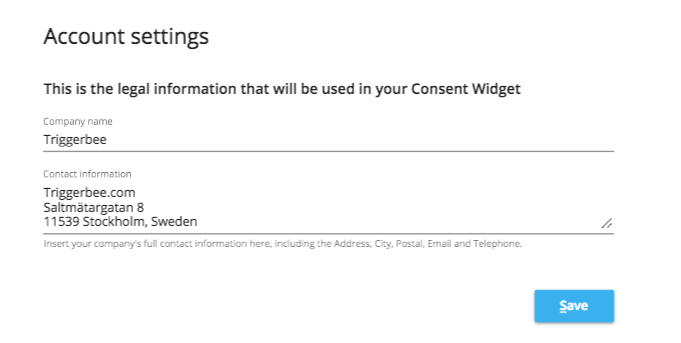 Note: You need to republish the consent widget to publish your saved company settings.